At KitchenAlity, we provide professional, inspired kitchen remodel services to homeowners all throughout Tampa, Florida. 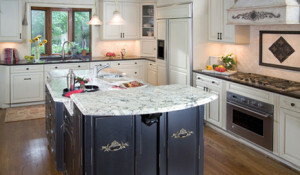 Kitchen remodeling is a passion for us, and we take pride in helping homeowners throughout the area attain more beautiful, functional, and luxurious kitchens that truly have personality. Our team can help you to envision what your new space will look like long before the work ever begins. That’s because we have the capacity to create 3D renderings for you to view, request changes to, and approve. So, you can go into your kitchen remodel with KitchenAlity with full confidence that what we provide for you will suit your tastes to a T.
If you’d like to find out more about KitchenAlity and how our professional team can remodel your kitchen in Tampa, FL, please contact us today for an in-home meeting with one of our experienced kitchen designers. We’re also proud to offer excellent bathroom remodeling services.